Which photo should appear on the banner of JHLife? Voting has now closed, and TBM's photo "Tower2Tower" is the winner! Look for a new banner soon. Thanks everyone. Yes, Marlene, you can wear my tiara (it keeps falling off my head anyway!). There were a lot of great images but I have to give kudos to Lilith for 74th street. It's a great picture and the lighting was perfect. 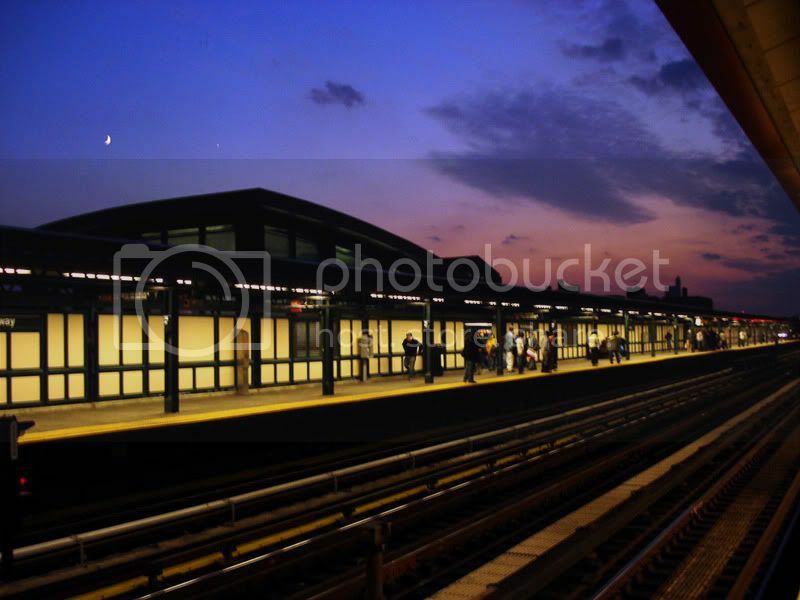 Many people have voted for the 74th Street Station Picture. It's a nice picture but isn't the side of the station that appears in the photograph the Elmhurst side of 74th Street? Roosevelt divides Jackson Heights and Elmhurst, so are we going to put a picture of Elmhurst o the Jackson Heights Web Site??? LOL!!!! Nope. We're going to put the picture of the Manhattan skyline on a Jackson Heights website. Agreed, the new banner looks great! But I already miss the old ,and today the winter picture would be most appropriate. Sooo, is it possible to have a series of banners that would express the mood, the climate, the richness of our community as it meanders its way through the coming year. This movable banner would challenge us to be on the lookout for ways to showcase all the facets of our great community. Don't quote me on this, but I'm pretty sure I remember reading on astorians (astorians owns JHL) that they would do moveable or rotating banners but it costs money to hire a coder to do this. And since JHL basically does whatever Astorians does in terms of technical aspects, if they ever switch to rotating banners, we would most likely switch as well. This reminds me that I should add a thank you not only to TBM and toddg, but also again to merm from astorians who kindly hosts JHL for free and volunteers his time and help to us whenever we need it!! Actually, I know this from school website experiences, but if you wanted an animated gif that rotated pictures, it wouldn't be too difficult to design. I'd even offer to help, but it would have to be over the school break ... me being a dad and a teacher, both are over-full-time-jobs. I love the new banner. One of the things that makes Jackson Heights unique is the view of Manhattan from the high floors. Good job with the cropping of the photograph. AND the colors are terrific. I love that there will be a new banner every so many months and that everyone has an opportunity to be creative and submit their photos. Shelby2 is absolutely right. All of us who enjoy this forum owe a big 'thank you' to merm for his generosity. None of this would be possible without him or the moderators who contribute their time and energy. Thank you all. Thank you TBM! I love the new banner! None of this would be possible without him or the moderators who contribute their time and energy. Thank you all.